I know that at this time of year many people are considering picking up some new Hockey kit. Likewise I saw the first Christmassy chocolate in the supermarket yesterday and thoughts may quickly turn to what to buy for the hockey player in your life. I thought it would be helpful to let you know of two ways we support of picking up any kit you need for the new season. 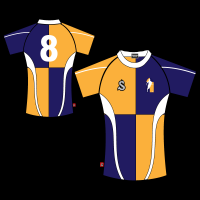 Our club kit is manufactured by SilverFX and can be ordered through our club shop with them (https://www.silverfx.co.uk/category/sports-clubs/jesmond-hockey-club/) - they sell a range of match day and training gear including match shirts, hoodies and waterproofs. Generally orders have a 6-8 week turn around. One great source for your Hockey Kit is One Sports Warehouse. They are a local company based in Chester-Le-Street who stock a range of sticks, shoes, gloves ... pretty much anything you could need for Hockey. They are going to bring their wagon full of gear to our Seniors training on the 8th October and will be based in the car park on the Newton Road side of Heaton Manor from 6.30ish onwards until 8. This is a great way to shop as you can try before you buy! We're really looking forward to having them.  Join our club! Info for new members 2018/9 We're looking for new members for the new season! President's Day Hockeyfest  Let's get the season started!